Yup, happened to me, V6 RWD. And I just drove 150 miles like that. Waited 15 min before checking. Guess I'm going to re-read all the threads on this subject tomorrow. It's 2 am now, good luck to me getting any sleep. Have someone with an extractor take some oil out - probably a quart, then use the electronic dipstick. You can get an extractor good enough for the job pretty cheap. Don't start it up and drive to the dealer. Was it a dealer that did this? Yup, dealer. Thanks, I have to pull the plug on tonight, will look again tomorrow. No excuse for that on a RWD car. I'd tell the dealer to send someone out to your house with an extractor. This happened to me as well at a dealership. Jaguar should have sized the US sump to take an even number of quarts - or should calibrate their sensor to allow a little bit more oil in the pan. It's probably an insignificant amount, but without a real dipstick you have no way to tell. Thanks folks. So I just checked it cold and now it says OK?? I would think that cold, will all the oil drained into the pan, it would read even higher?? Oil expands quite a bit when it’s warm, but you should be OK even if it shows overfilled when warm. OK, that makes sense, thanks once again. I suppose running the engine up to operating temp and rechecking might 'prove' that? Thanks mshedden. I think that 0.4 q over is a LOT. I just checked the manual and it specifies to check the oil just the way I did. So I'm going back to my original statement that is is overfilled. Calling those ***** in the morning. That be true. But it does mean you are no more than 1/2 qt high. That should not be a problem. Even so, best to siphon off that 1/2 qt. A slight deviation: is there any reason why the oil cannot be checked with the oil cold? When I do this the graph shows the oil to be full, just as I would expect. And I have always checked the oil in my cars after allowing the engine to sit overnight - the idea being that an accurate measurement requires that the oil return fully (or as much as possible) to the sump. So, is a cold measurement not advisable for any particular reason? My manual says the oil should be hot, but to wait at least 10 minutes after the engine is shut off. Which means I don't check it often, as that's a bit awkward. Yes, but the waiting for a period of time is to allow the warm/hot oil to drain back into the sump. So the question is this: given that I have waited long enough (much longer) to allow all the warm/hot oil to return to the sump, of what importance now is the temperature of the oil? The oil does not need to move further to be measured. I am just trying to understand a) the concept and b) the reason why a cold measure would not be valid. and why is the photo turned on its side???? Can it be straightened? Last edited by sov211; 02-25-2018 at 07:31 PM. The warm oil occupies a larger volume because it expands with increased temperature. If it measures 'full' with warm oil, it will measure 'low' with cold oil. I can vouch for this. I checked my oil level when the car was completely cold and it showed me the oil level almost near to the low .. I got super scared as to my F Type needs oil and I had only driven around 1200 miles in total, but remembered the thread I read. So I drove the car for 30 mins and parked it. Checked it after 10 to 15 mins and the oil level for almost full. This thing scares me a lot ... lol I don't want to ruin my engine just due to the fact I forgot to check the oil. 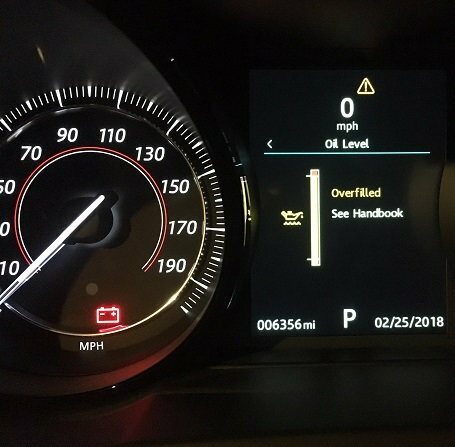 If the message ENGINE OIL PRESSURE LOW is displayed in the Message center, stop the engine as soon as it is safe to do so and seek qualified assistance. Do not start the engine until the cause has been rectified. Are they going to indicate a low oil level or not. 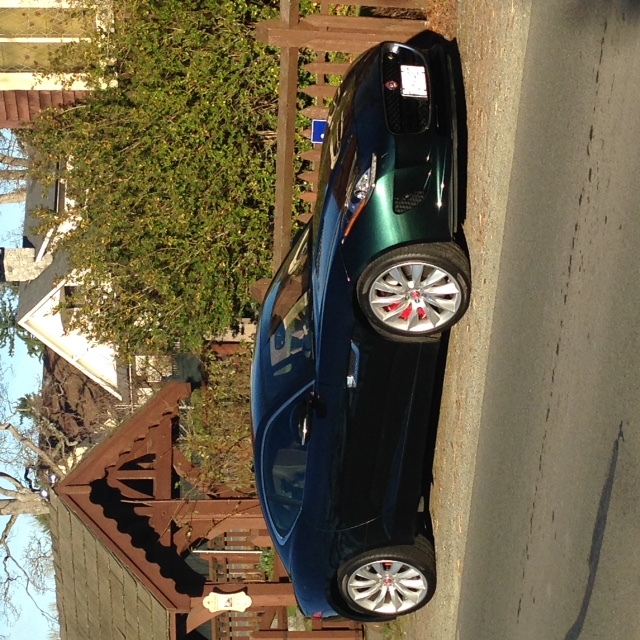 Mine is a 2017 SVR. Pretty sure "engine oil level low" and "engine oil pressure low" are completely different warnings", although the first problem (low oil) could result in the second problem (low pressure). 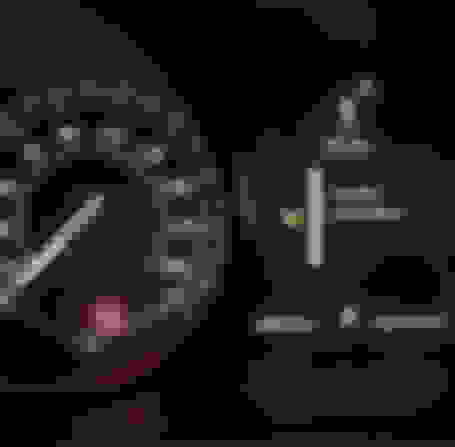 Also, I understand that the car will not / cannot warn you of low oil level other than you checking the electronic level readout yourself (ie it's manual not automatic), but it will automatically flash up the "low pressure" warning if it detects low pressure. I doubt this is *actually* a problem of major significance. If it's overfilled by 0.3-0.4 qts when warm, its not a whole lot in an engine that holds 8qts (its like a cup and a half or so). If the car had a regular dipstick, it might be a hair over the line, and you'd probably not care, but with the computer you get the ominous warning b/c its a hair over and for a computer its either over or its not, so you get the message when it is. That said, if you invest a few $$ in a hand pump so you can remove oil, or even do your own changes if you want, then more power to you. I always check the oil cold and look for it to be at 1/2 to 3/4 on the scale. Quick Reply: Yet another oil overfill.